Disclaimer: Please note that some of the links below are affiliate links in which I will receive a commission if you purchase those items through that link. I used and recommend all the products below because I have found the company and products are reliable and are my personal preference. Something I learned early on was you could download fonts to your computer and use them in design space. Now I still subscribe to Cricut access which gives you access to over 300 fonts and a ton of images, but even subscribing to Cricut access they still want to charge for certain fonts. Also something else I learned was don’t just download from any website. That’s a quick way to get a virus. I personally use dafont.com. I have never had a problem with using this website. Now all you do is go to the website and find what font you like. For this post I’m going to click on the download button for the painter font. Next open the folder at the bottom of your screen and then double click on the the icon that looks like a blank sheet of paper with an A on it. A window will pop up with different sizes of samples of the font. At the top of that folder will be an install button and click on it. Now the font is installed on your computer. You can use this font in any program that has fonts including Cricut design space. Before you can use this font in design space you have to make sure you are logged out of design space until the font is installed. If you happen to be logged into design space it’s no big deal. Just close it out and resign in and your font will be there. See how the letters aren’t connected like in the sample of the font? That’s just a part of downloading fonts into design space, but there’s a simple fix. All you do is reduce the letter spacing on the right side of the screen. Just keep pressing the decrease button until it’s to your liking. Another thing you will want to do after you have the fonts connected is weld them together. This will give you a clean following cut. Sometimes you might run into where you might have to break up the word into 2 text boxes because when reducing the letter spacing some letters might start to over lap each together too much while some of the other letters aren’t even close to connecting. Then you can just weld the 2 text boxes together. Hopefully this post was explained well enough so you know how to never pay for a font again for design space. Could you make a video for people like me, who are more visual ? This sounds like wat I need but I am still figuring out how to work this damn explore air 2 is it on this page I click to get them or go to faint.com. help me plzzz I need font! It takes some time to learn everything because there is so many things this machine does. I’m in the same boat a little because I got the maker for Christmas. So new things to learn. I️ was wondering if you have ever shown instructions on how to make enlarge letters to make signs. I tried this method, I’m having trouble. I downloaded some fonts from the site and I do see it in design space. When I use it I can’t change it to handwriting. Well it does let me but it’s outlined not solid letters. How do I fix that. 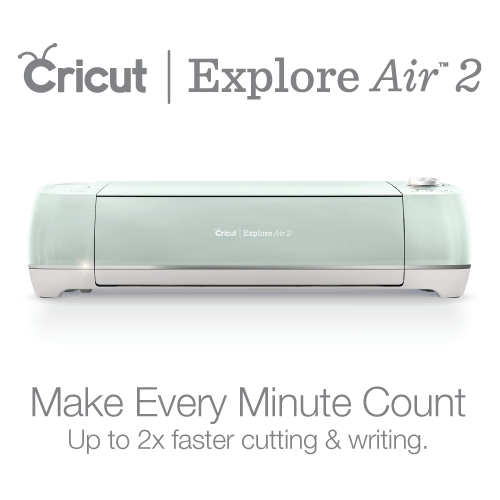 I contacted Cricut and they were of no help! Of course I didn’t say I downloaded fonts I said I wanted to use ones that were already on my phone. Some font won’t do hand writing style because of the thickness and that’s why it outlines the font. So it’s just one of those things where you just have to work with what works for handwriting. Sorry I can’t help anymore. Do you have a list of fonts that will work for handwriting? I’ve downloaded and installed 5 and none of them work. This information has been very helpful. However I am still struggling a little. I downloaded some fronts from dafont.com, logged off my design space and logged back in. Where will I see the fonts from there? When I select the writing fonts only I am not seeing them? Do I have to import them into the design space? I’m having the same issues too. When I select the handwriting for the handwriting fonts that I download, they are not handwriting. They are the not the handwriting they are like the bubble letters. Is there a way to upload multilayer fonts? Can I get these for use in Make the cut?? Can I do this on my Samsung phone? I don’t have a computer? Thank you so much,I’m learning how to do all this,now I have to learn how to use them with my laptop,I mostly use my IPad, thank you so much. Do you know if there is a way to have it show the font before choosing it? When scrolling through the font options in Design Space, it does not show me a preview of the fonts I just installed and now I keep having to guess which one I want lol. Thank you!! This has saved me so much money already!